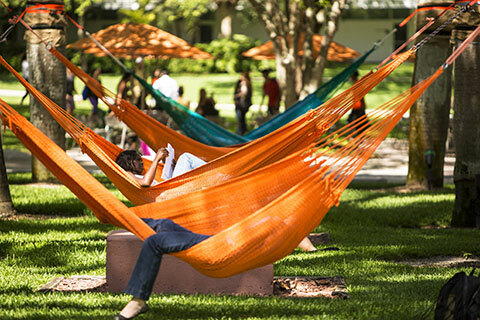 Studying is always better in a hammock surrounded by palm trees. 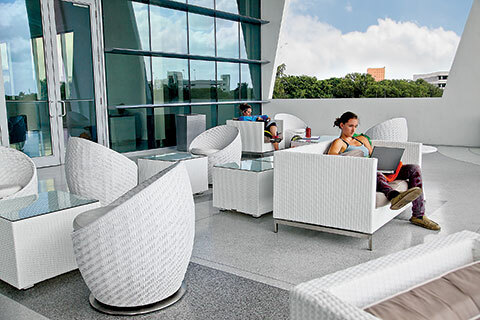 Enjoy the bird's-eye view of Lake Osceola from the Shalala Student Center Moss Terrace. 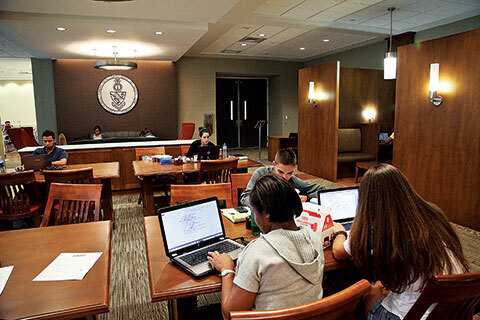 Get some peace and quiet in the 24-hour Kornspan Study Lounge. 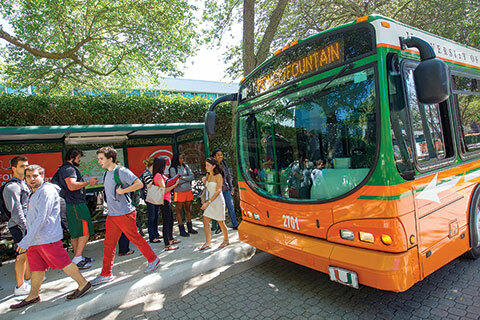 The Hurry 'Canes Shuttle takes you where you want to go. Set one foot on campus and you’ll feel it—a vibe that celebrates life, learning, and daily activities that are anything but routine. Capitalizing on its glorious weather, national reputation, and location at the crossroads of the Americas, the University of Miami offers students unparalleled academic support, enrichment activities galore, sports and cultural offerings, wellness and fitness programs, and endless opportunities to explore, engage, and better the community and the world. Visit the Division of Student Affairs page. Students learn best when they study what they love, and at the U your education is distinctly yours. 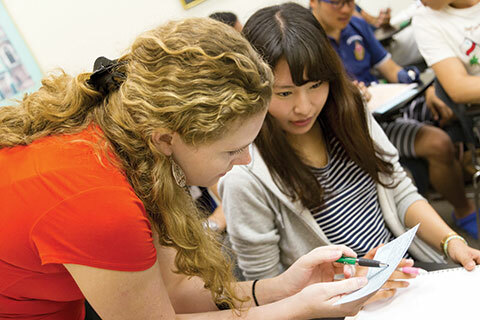 We give students the freedom to cross disciplines and design their studies around their strengths, curiosities, passions, and goals and we advance their potential by providing a multitude of resources—from career counseling and honors programs, to writing workshops and opportunities to study abroad—to prepare them for success. 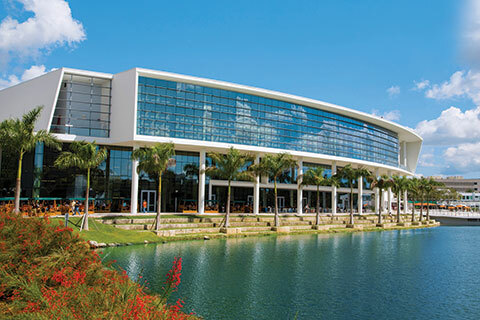 With exceptional dining options and residential halls, a bounty of social, cultural and academic activities, sporting venues, an easy-to-traverse campus with shuttle service and a myriad of parking options, the University of Miami is home away from home, a place where students who live on or commute to campus can stretch their comfort zones and expand their horizons. Our mission is developing future leaders and we offer unlimited opportunities for involvement, leadership, and personal exploration. 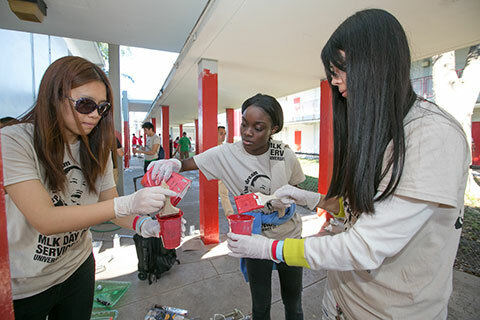 With an active Student Government, more than 40 service organizations, 270-plus clubs, a student-operated newspaper, radio station, and other media, nearly three dozen fraternities and sororities, it’s impossible not to be engaged in enriching civic and community life—and yourself.